There are so many variations to this dish, the possibilities are endless. You could eat it without the pita pocket as a warm potato salad (very yummy), you could add white beans, you could add strips of sirloin steak, you could even leave out the squash and potatoes and eat the zucchini and chard as a side to any meaty or eggy dish. 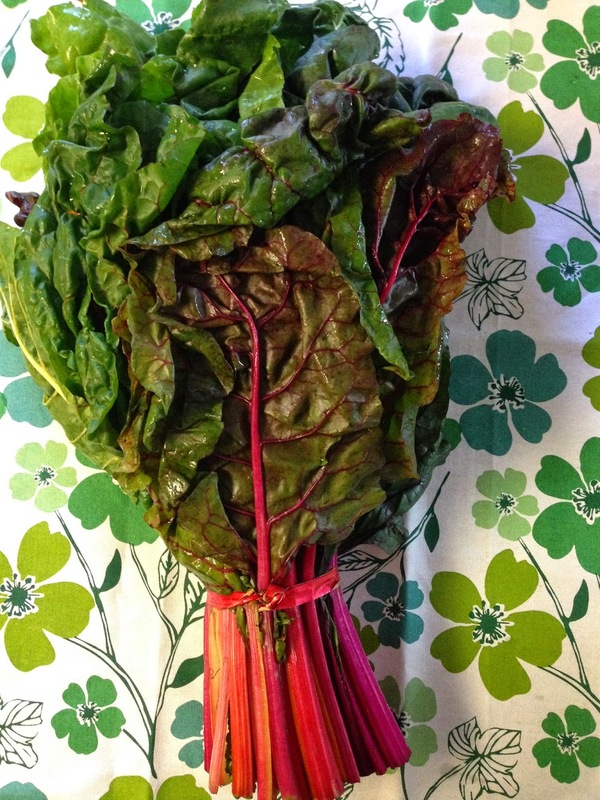 If you don't have swiss chard, you could use kale, spinach, or beet greens. 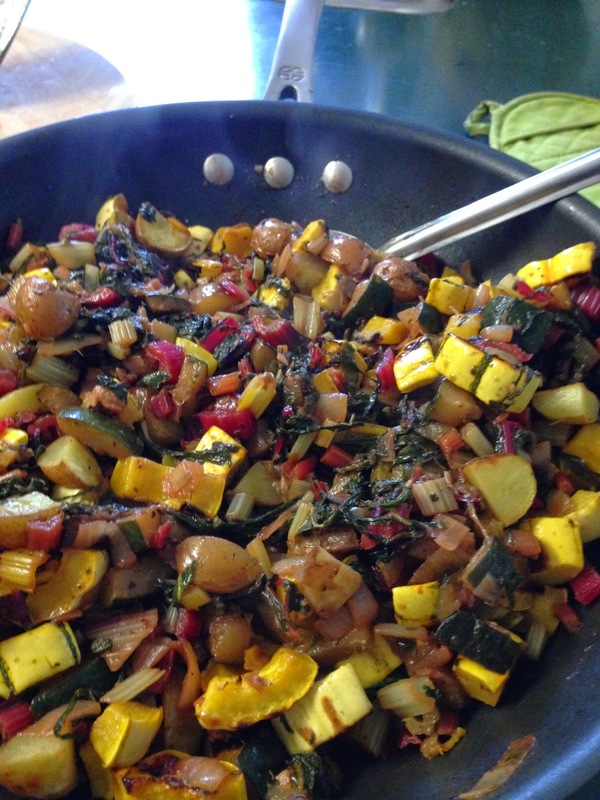 If you can't find delicata squash (they really are great), you could use butternut instead. 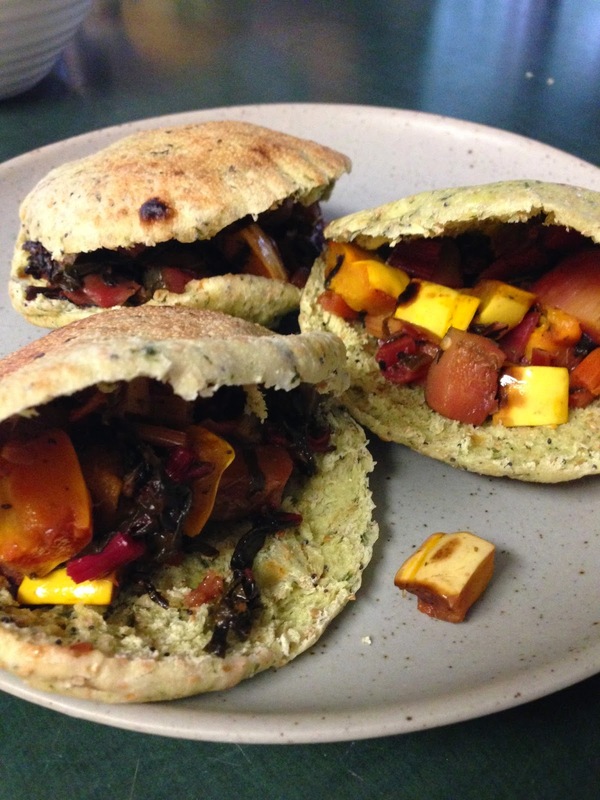 You can use any kind of pita pockets you want for this, but I used Happy Camel spinach and herb pitas that I got at the farmer's market. I will admit, this makes a huge batch. For some reason, I got the most ginormous bunch of swiss chard for $3. It was so large, that I used mostly the stalks and only some of the leaves. However, if you get a reasonably sized bunch (no more than 10 stalks), you might want to just make a half a batch. This recipe makes about 8 large pita pockets. 1. Preheat the oven to 450 degrees Fahrenheit. 2. Toss cubed potatoes with 1 Tbsp oil. Spread into even layer on parchment-lined baking sheet and sprinkle with salt. Do the same thing for the squash. 3. Bake the potatoes and squash in the oven for about 18-20 minutes, turning once halfway through cooking. They should be tender and lightly browned when they are done. 4. In the meantime, in a large skillet, sauté the oil, red pepper flakes, and onion until soft, about 5 minutes. 5. Add the garlic, Italian seasoning, and zucchini and sauté until tender, about 10 minutes. 6. Add the chard stems and cook until tender, about 5 minutes. 7. 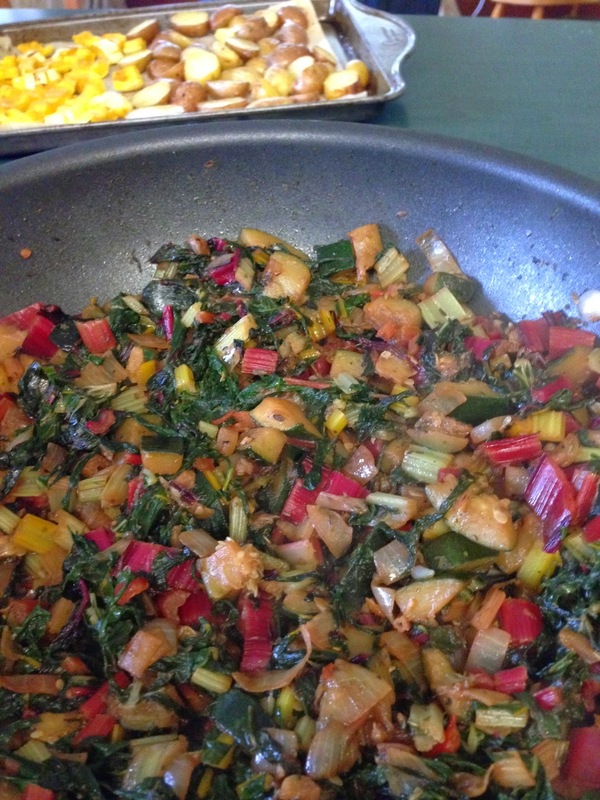 Add the shredded chard leaves and cook until wilted, about 3 minutes. 8. Add the honey and vinegar and reduce, about 1 - 2 minutes. 9. 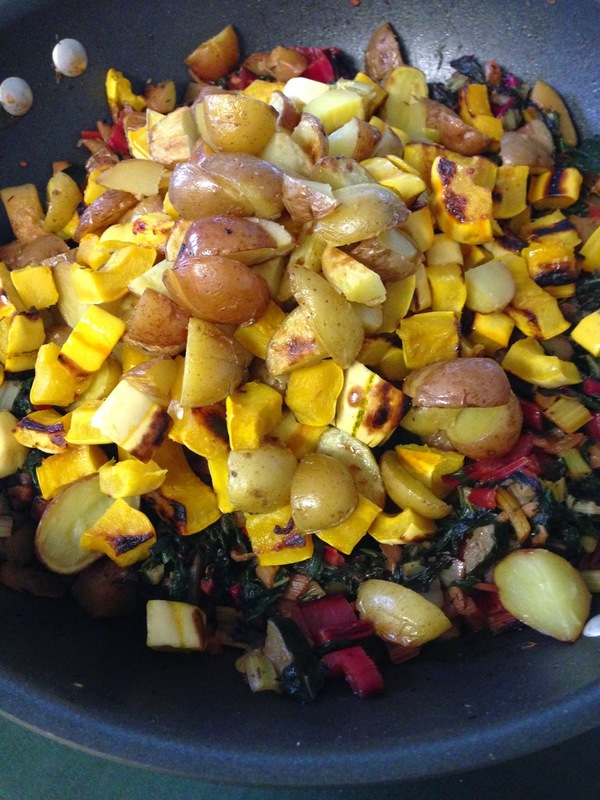 Remove from the heat and toss with the potatoes and squash. You can top with fresh basil, if you want. Enjoy! 1. Delicata squash look kind of like small footballs. They are a light yellow/orange colour with green stripes. Sometimes they are in the organic section. Like I stated above, if you can't find them, you can use butternut squash. 2. Swiss chard is sometimes called rainbow chard or just chard. It might have red, yellow, or white stalks. It all tastes the same. As stated above, you can always use kale, spinach, or beet greens instead. 3. If you can't find Italian seasoning, although it is pretty common in the spice section, use a combination of dried oregano/thyme/basil.